Cashmere capes made from the finest cashmere and merino to bring you a classic cashmere cape. We carefully select the finest wools from a very small number of family run businesses in Nepal that we have known and worked with for years. Merino wool is incredibly soft and easy to look after, while cashmere adds warmth and quality. The cashmere we use is a premium wool, chosen for its pure fine strands.Drape this cape over your shoulders when settling down on a long haul flight or turn it into a layering piece by wrapping and belting over a blazer. Wear yours over jeans, adding a belt to cinch the loose silhouette – or just let it hang freely. Looking after your cashmere cape will pay dividends, giving you years of pleasure wearing these beautiful garments. We recomend you read our guidelines on cashmere care. 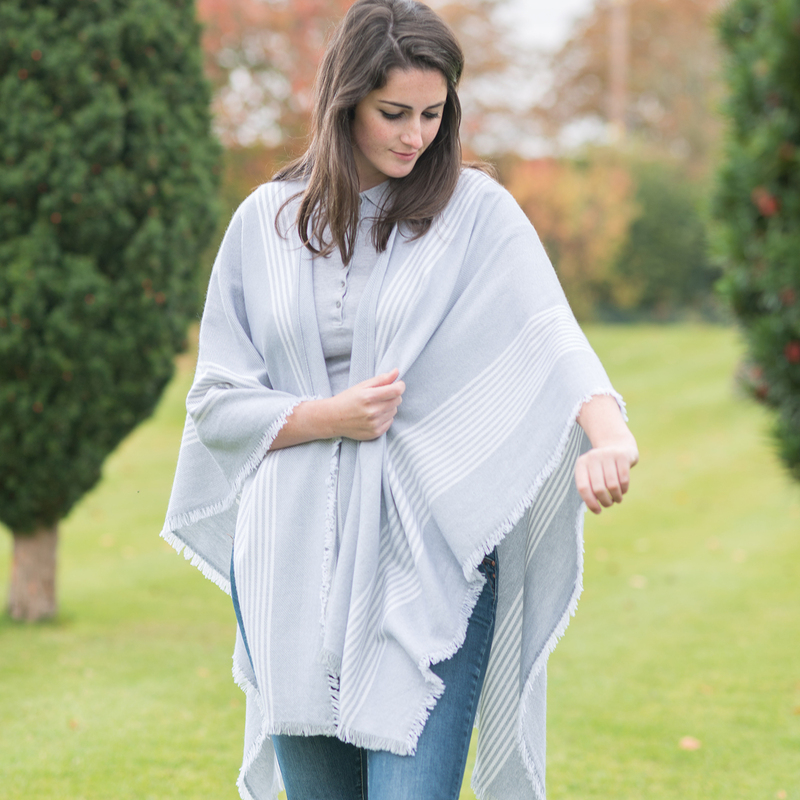 Working to our own designs, we bring you the Leatham Cashmere cape. 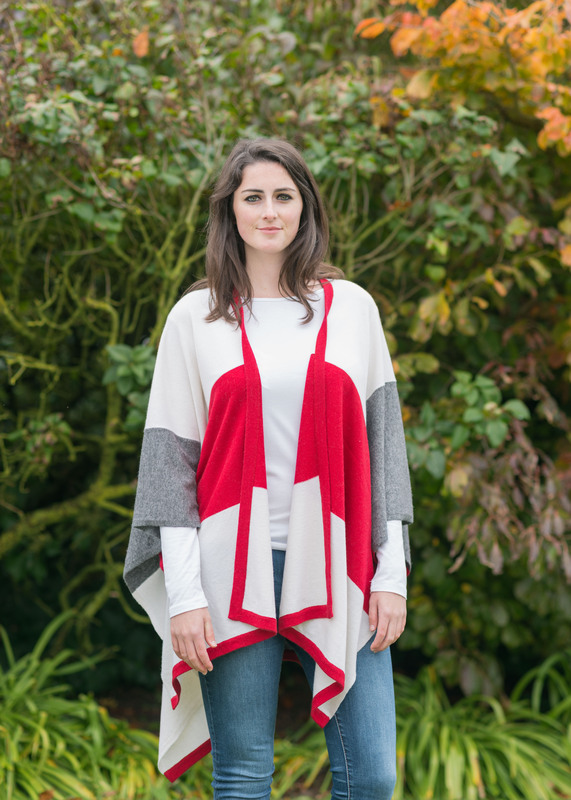 Whichever design you prefer, the cape is versatile, warm and timeless and will take you through the seasons in style.